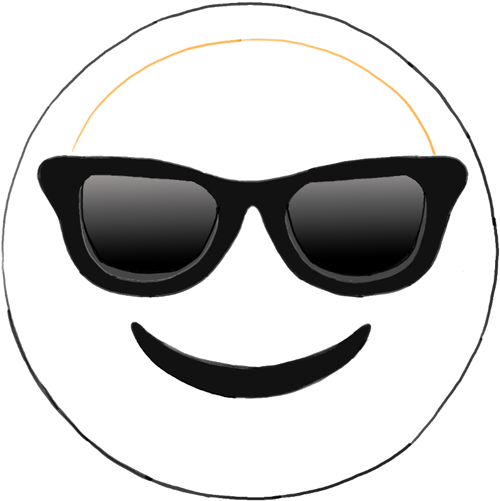 Learn how to draw the Sun Glasses Emoji Face that you see online. 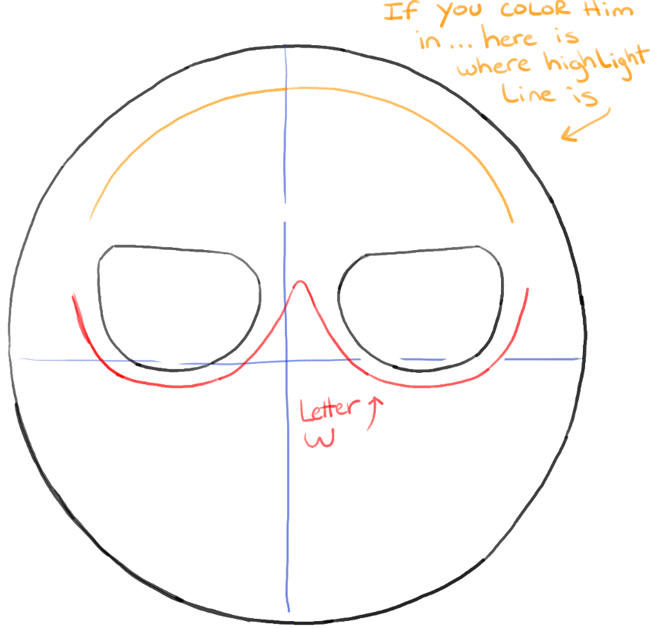 The glasses are a little tricky to draw so let me show you how to draw them (and the face) step by step. 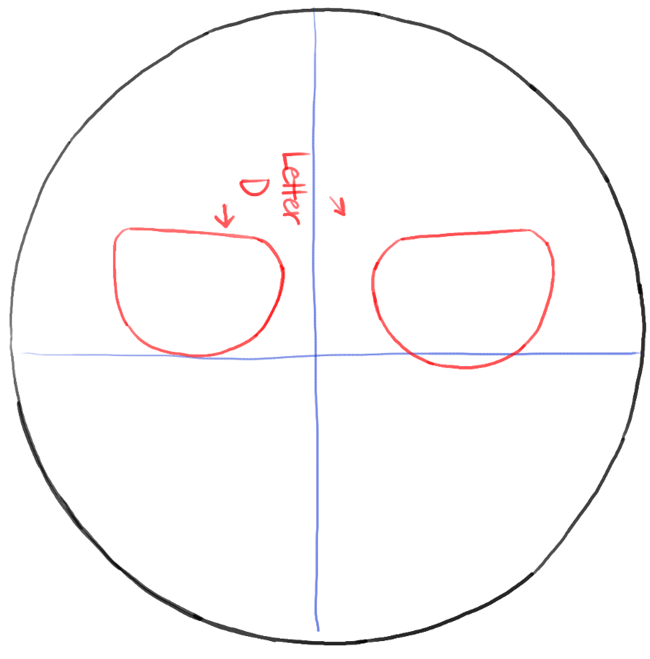 Draw a circle…trace a cup or bowl if you are having troubles. 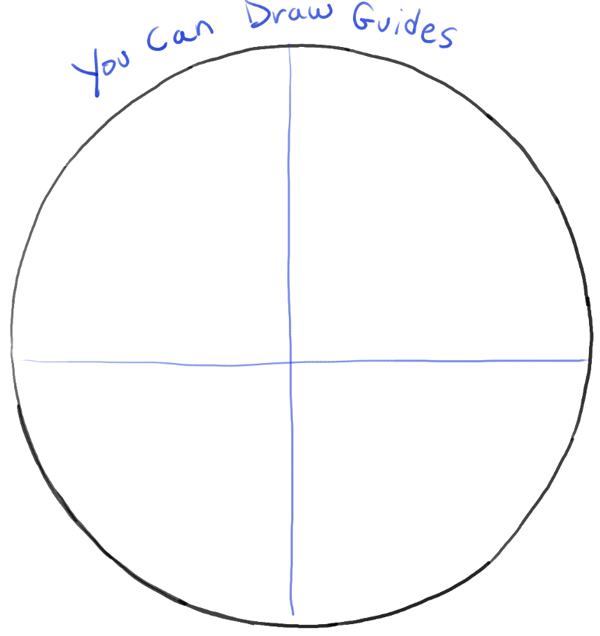 – Draw guide lines thru the center. – Draw sideways letter ‘D’-like shapes. 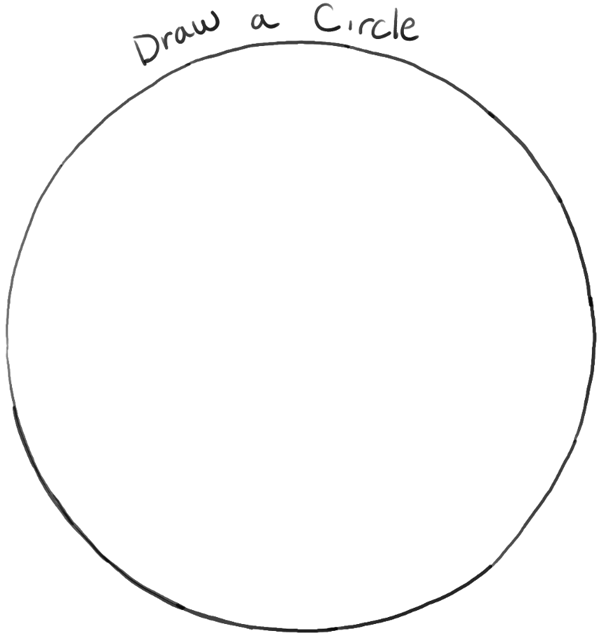 – Outline the circle within (only on the top). This will be the highlight line if you are going to color him in. 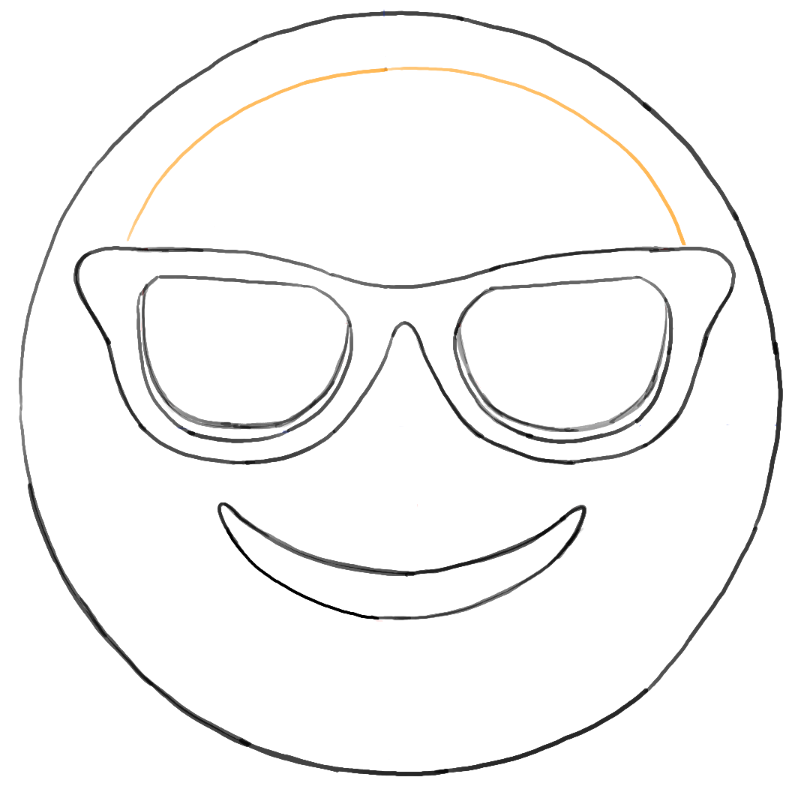 – Draw a letter ‘w’ shape below the glasses. 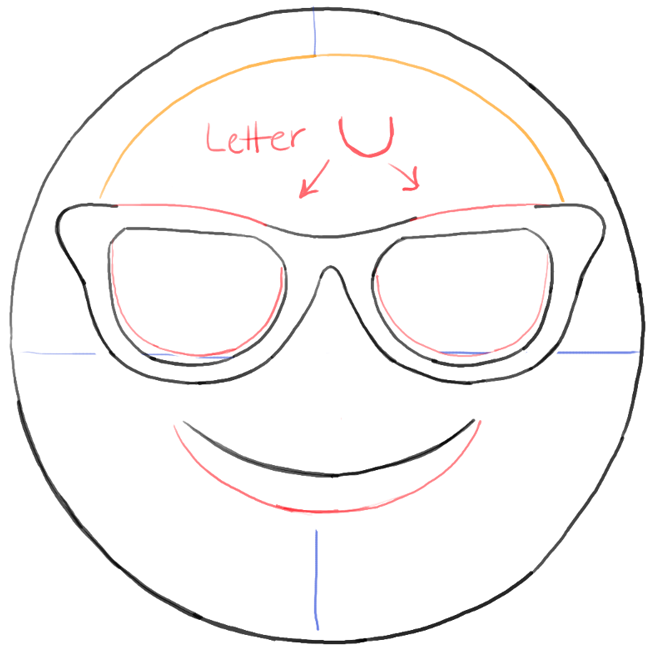 – Draw letter ‘u’ shapes on sides and top of glasses. 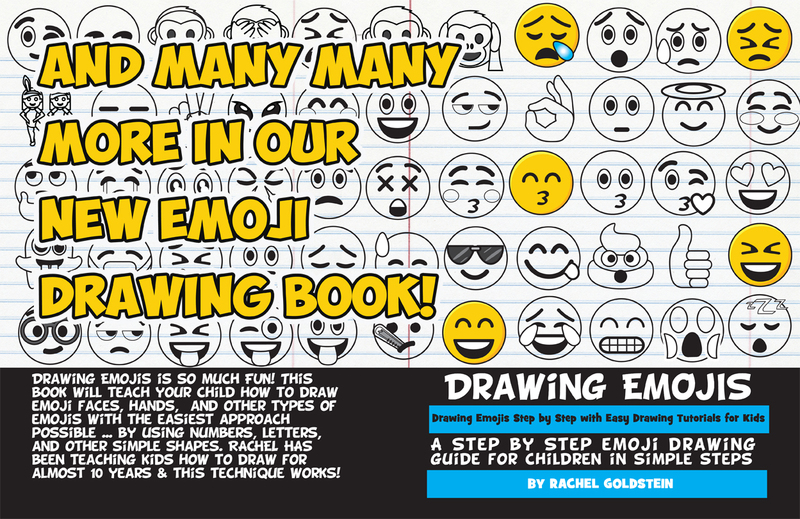 – Draw a curved line for the mouth. 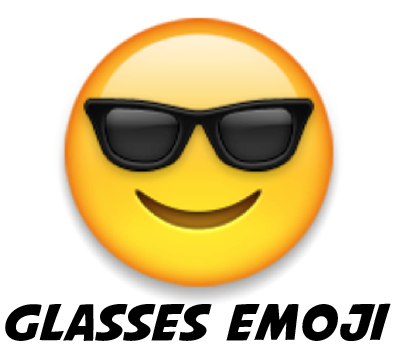 – Draw letter ‘u’ shapes inside the glasses. – Finish the top of the glasses. 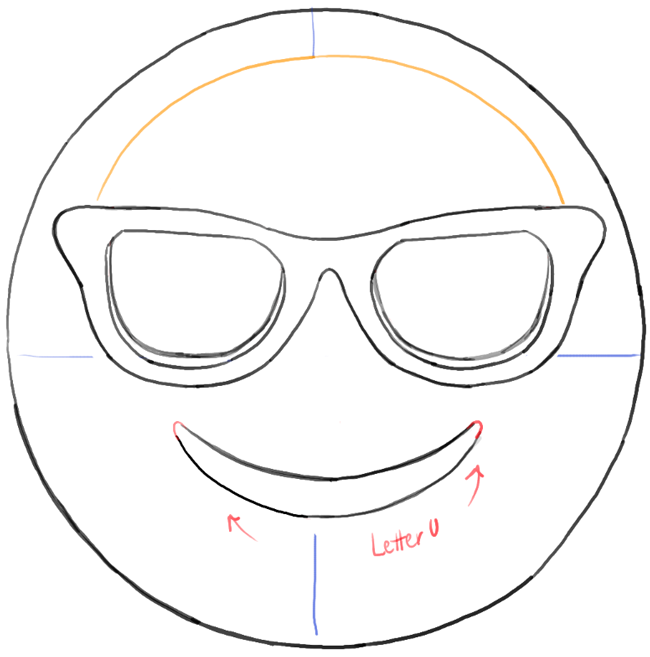 – Draw a curved line for the bottom of the smile. 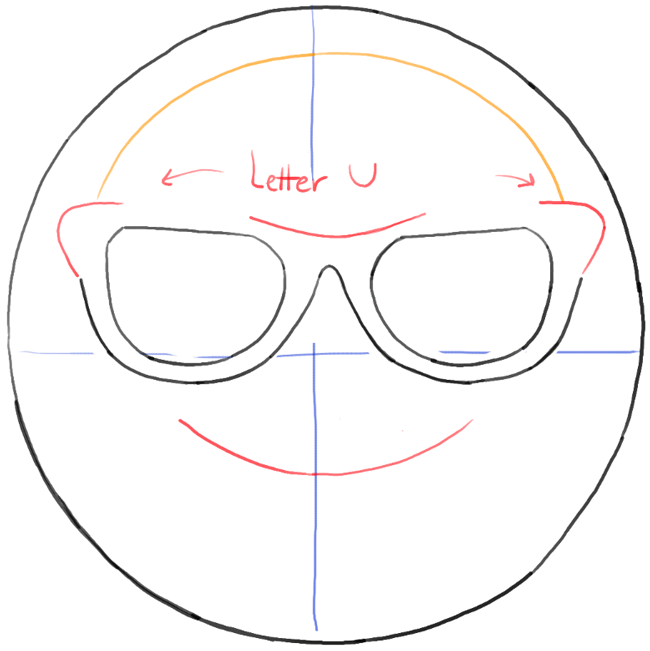 – Draw letter ‘u’ shapes for the sides of the mouth. 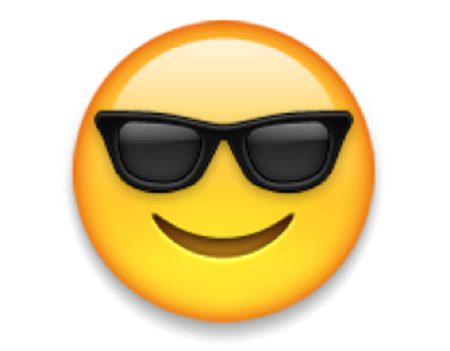 This article was written on 18 May 2015, and is filled under Emojis.